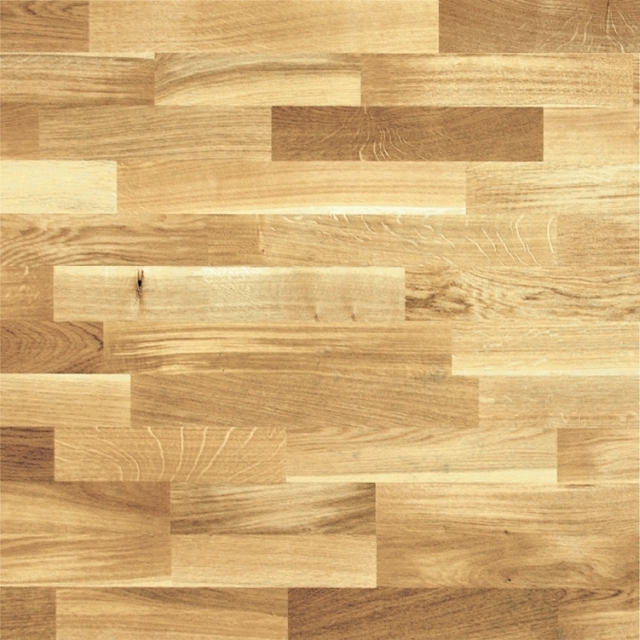 Christina Meyer Sustainable Wood Products 3 strip flooring is entirely composed of of FSC hard and softwoods. This is 15mm thick engineered floor with a click system for installation. The bottom and core layers are made from softwood and measure 3.5 mm and 8 mm respectively, while the face layer is 3.5mm thick.